August 2013 – South Kerry Development Partnership CLG. A survey is currently being conducted amongst the people of South Kerry to get their views on the vibrancy of their communities. The work is being undertaken by geography department of Mary Immaculate College, University of Limerick through the INTERREG IVB NWE Rural Alliances Project which is being run by South Kerry Development Partnership. Mary Immaculate College, UL is the academic partner on the Rural Alliances project with SKDP. Dr. Brendan O’Keeffe of the Mary Immaculate Geography Department said that the survey aims to get the views of the people of South Kerry on how vibrant they feel their communities are. 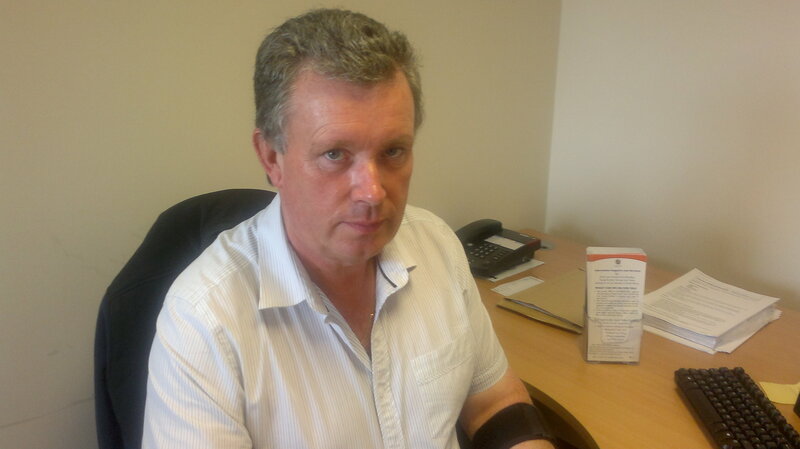 “It is part of a broader study on what is termed Rural Vibrancy that includes examining what public and commercial services are currently available to people who live and work in South Kerry and how vital local services can be sustained and developed” Dr. O’Keeffe explained. Questions on the survey include those focusing on employment, the local community, community development and the environment and survey forms will be distributed in a variety of ways to people in South Kerry over the coming weeks including face to face meetings with people on the streets of the region by Ms. Sandra Duggan, a research intern with the Geography Department at present. It will also be sent out by e-mail to people and will be physically distributed at events around South Kerry over the coming weeks. “SKDP is delighted that Mary Immaculate College is undertaking this work through the Rural Alliances project in South Kerry and the information gathered through the survey will be combined with the results of similar surveys being conducted in the 11 other partner areas in Belgium, Holland, Germany and the UK” according to Project Manager Seán de Buitléar. “This information is vital in helping to identify specific areas and elements that need improvement in the rural regions of Europe and will provide a very strong platform from which to lobby to have these become the focus of future European development projects” Seán added. “All of the information being gathered through the survey is both anonymous and confidential and the data will be collated independently by Mary Immaculate College” Dr. O’Keeffe pointed out. “Anybody who wishes to receive further information or to get an electronic copy of the survey to complete can contact Dr. Brendan O’Keeffe by phone on 061 204344 or by e-mail [email protected] . “I would like to thank in advance all of the people who take the time to complete and return this survey over the coming weeks” Dr. O’Keeffe added. Walkers on the Kerry Way are being urged to take extreme caution on a 1km section of the walking route which was damaged by a recent landslide near Mountain Stage. A substantial amount of rubble has been deposited on the section in addition to large holes being gouged out by the water and material that flowed over it during the landslide. The landslide, which occurred on Sunday the 25th of July, resulted in the main Ring of Kerry road being closed to traffic resulting in major diversions. South Kerry Development Partnership’s Rural Recreation Officer Trish Deane said that major damaged occurred to the surface of the section of the route which the landslide crossed. “A substantial amount of rubble was deposited on the route and in addition many holes have appeared in the surface due to the significant water that flowed down the mountain. 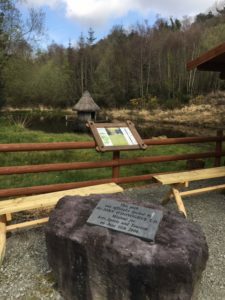 “While the 1km section of the route is still open to walkers, we are advising them to exercise extreme caution while walking on this part of the Kerry Way and to avoid going through holes of water as they may be deeper than they first seem” Trish said. “Warning signs have been erected along this section to alert walkers of the dangers due to the landslide damage” Trish added and she said that every effort will be made to return the trail to normal as soon as possible. A large number of applications from prospective students are expected to seek funding under the Tom McBride Bursary, which is provided through South Kerry Development Partnership (SKDP). The bursary provided funding for those taking up 2nd chance education opportunities in the further education or training sectors and covers costs in areas such course fees as well as indirect costs such as childcare and transport costs. “This fund is really aimed at giving those on low incomes the chance to gain further education or training and provides financial supports for elements that would not be covered through other grant schemes” Education & Training coordinator with SKDP Deirdre Fleming pointed out. She said that there is a strong link between lower education levels and unemployment and this bursary gives people the chance to help themselves improve their employment prospects through gaining additional accredited education or training. “Given the current levels of unemployment in the region and the fact that many people out there realise the importance of improving their skills and education levels, we are expecting a large number of applications for funding under the bursary” Deirdre added. The bursary is open to those living in the South Kerry area only and applications will be considered from those proposing to take up either full time or part time accredited courses or training. – Young Farmers Groups and those wanting to set up business in South Kerry. Passionate about the latest fashion? Introducing to you, Skinners, the latest fashion hub in Kenmare where they are one step ahead of the game, following the latest trends hot off the runway. They’ve got your style covered with their wide range of clothing and accessories. 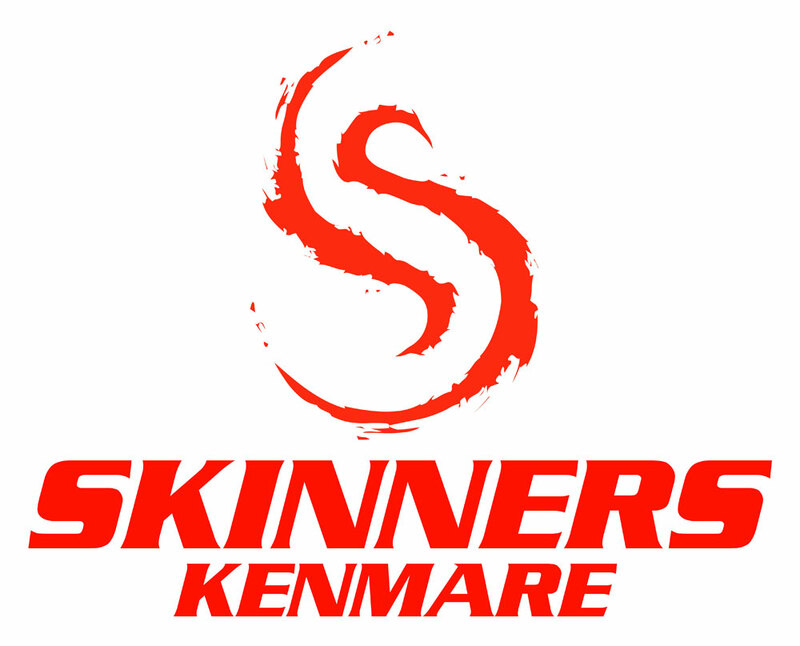 Skinners is excited to showcase their collection which includes designers from Gasoline, Ripstop, Glamorous, Crosshatch, Animal Clothing and Canterbury but to name drop a few! Skinners has brought cool niche labels to Kenmare and is combining womenswear, menswear, and of course not forgetting their kidswear! Eoin Finnegan, Skinners keen eyed owner-buyer is successfully bringing “urban cool to Kenmare”. Eoin edits the collections meticulously to bring his fashion loving customers trendy basics and must have pieces each season. Skinners is located on Henry Street, Kenmare and is fast gaining a reputation as a “must visit” destination. Make sure, you’re on trend this season …. with Skinners! Further information on this enterprise, can be found by contacting Eoin directly on 087 6439 912, on face book @ Skinners-Kenmare or simply by calling into Eoin at Skinners on 33 Henry Street, Kenmare. Let Killorglin Driving School guide you along the road to driving success, so that when the day your driving test arrives, you can be sure that you will have the necessary skills and knowledge to successfully pass your test. 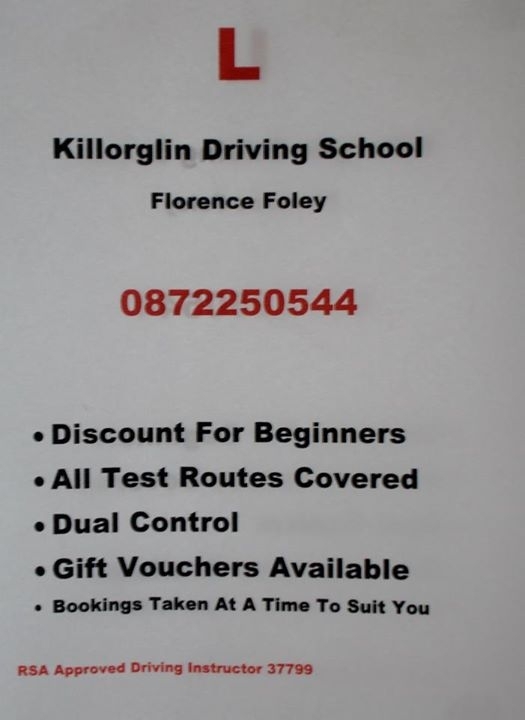 Killorglin Driving School is an RSA approved Driving School which is owned and solely run by Florence Foley, a fully qualified ADI driving instructor. Florence prides herself on delivering a high standard of customer service, while remaining focused on a high pass rate. Lessons are tailored to suit individual requirements and Florence specializes in catering for nervous drivers and complete beginners where lessons can be conducted on dual controls. Florence’s experience will be your success! Killorglin Driving School uses simple step by step techniques to assist and equip you with the learning skills, attitude and behavior aspects required within the driving environment. Killorglin Driving School is available seven days a week for tuition either in your own vehicle or the driving school car, where all known test routes will be covered. For further information on the BTWEA or STEA, please contact an Enterprise Officer from SKDP in your area. Joanne Griffin (Killorglin and Kenmare) on 087 615 2660 or Anne O Riordan (Cahersiveen and Killarney) on 066 947 2724.